The institutional church identifies a Jezebel personality type. What they are actually describing is narcissistic personality disorder. People that have NPD are extremely prideful, vain and controlling. They themselves are the center of everything and are very judgmental. They usurp conversations and they are never really interested in what others have to say. If you have experienced that in the church atmosphere, then you are dealing with a religious narcissist. With this type there is an unspoken attitude of ” everything is mine” as they are filled with an air of entitlement and expectation. If they don’t get what they want it will be YOUR FAULT, so look out! If you are this person and you feel stuck, there is hope, but you must be willing to receive the truth at face value without fighting it in counselling. Also, if you have a family member that suffers with this and you need helpful strategies to protect yourself, we can coach you in that manner too. The personal significance of this particular convention was that I had a front row seat where I watched Copeland put the meat on the bones of the prosperity gospel. While I was a young, impressionable, and naïve minister, I recall that Copeland manifested a similar kind of “scratch my head, well y’all, I am getting a message from God at this very moment, so hold on!” kind of demeanor as he has similarly performed in the above video regarding “him acting as prophet to Donald Trump. Thirty-three years have passed since that noteworthy convention. An awe-struck Copeland follower back then, I once imagined that if the Lord Jesus were to appear, he must look and act like Kenneth Copeland. One thing only turned me off the man: THE PROSPERITY GOSPEL. I stopped sending $100 a month as one of Copeland’s faithful “supporters when he sent me a “partner letter” asking for additional money to help him buy oil wells. He got those oil wells, but not with my donations. Yet there is even more significance that has been eye-opening—a supernatural incident that took place in my hotel room in the wee hours of the night, the week I attended the 1983 East Coast Believer’s Convention. it was around the 4th night, as I was asleep, that I was awakened by a loud, bellowing, bass-sounding voice that loudly vibrated like a trumpet, drums, a hurricane, and a tornado at the same time, bellowing through the walls on the loudest speaker I have ever heard! I was afraid. The voice bellowed : COME OUT, SEPARATE! COME OUT, SEPARATE, over and over again. It did not stop once I was awake and on my knees!. Consider the movie, the Ten Commandments, and Cecil B. DeMille’s rendition of God’s voice to Moses. There is a slight likeness. Notwithstanding, the voice in the hotel room in Atlanta sharply blended additional sounds of storms, drums and trumpets to the 29th power!!!. In 1983, I assumed this powerful, urgent message in 3 clear words was a personal warning to me to come out of the denomination I was in. So in obedience, I came out when I returned home, only to go back in 1987. Eventually, I came out of the entire institutional church and religious system in 2004. Yet, was there a simpler message that I overlooked? Let”s face it!!! I was at the KCM Believer’s Convention. God may have simply been warning me to come out from the teachings of Kenneth Copeland. Five years later, after listening to Copeland, his wife and his associates , I finally “came out and separated myself from his teachings.” Yet Copeland has influenced all charismatic ministers. The truth is that I continued to listen to Joyce Myer and others until the turn of the century when I permanently turned off Christian television. There are several millionaire ministers on Trump’s ministerial advisory council. It seems that Kenneth Copeland who is one of the chief architects of the prosperity gospel, is now imagining himself as “Trump’s Prophet.” Perhaps the Lord wanted me to remember His voice in the storm in 1983 as a sign regarding Trump/Copeland in 2016 and beyond. Is Copeland the False Prophet? The Antichrist aka the beast is primarily a political, financial and military leader. However, the false prophet is a religious leader. In this end-time duo, we have political power, military power, joined with religious power. Political power, military power will dominate the outward world with spiritual power dominating the souls of mankind. So Satan will supply the beast with a supernaturally empowered companion who will promote the beast’s power and assist him greatly by swaying the hearts of people into satanic religion. The False Prophet will cause the world to worship the Antichrist as if he were God. Therefore, its clear to me that this person must be globally influential within the ranks of Charismatics. So the power of the False Prophet will enhance the power that is political or military or economic. 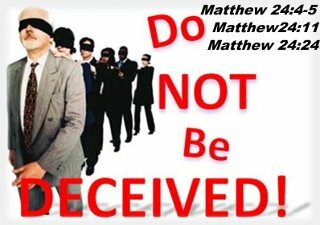 As such, the false prophet will have great religious power because he will convince the world that this Antichrist is God and is the only hope of salvation during this time of Tribulation. They will accept the lie of the False Prophet and as such bow down and worship the Antichrist as if he were God, and they will be eternally damned with him. The work of the False Prophet is critical to the effort of Satan because the in the final analysis, Satan’s primary goal is to be worshipped. When the beast is worshipped, then Satan will also be worshipped. Kenneth Copeland is a man who 33 years ago, I perceived as the epitome of what I believed that God in the flesh must be like. Copeland can speak in tongues for hours and then turn around and interpret what he has uttered. Copeland’s influence on charismatic religion worldwide is impressive, to say the least. There is not a charismatic minister anywhere in the world who has not been directly or indirectly influenced by him. So does Copeland have what it takes to be the False Prophet? Also his most influential entrée with a billionaire like Trump is Copeland’s rags to riches testimony and his worldwide orchestration and spreading of the prosperity gospel message. It is certainly important to keep an eye on this.